AskScience: Got Questions? Get Answers. Please read this entire post carefully and format your application appropriately. This post is for new panelist recruitment! The previous one is here. 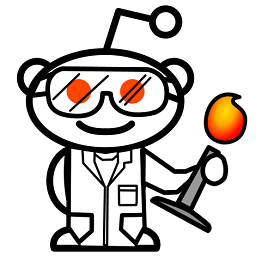 The panel is an informal group of redditors who are either professional scientists or those in training to become so. All panelists have at least a graduate-level familiarity within their declared field of expertise and answer questions from related areas of study. A panelist's expertise is summarized in a color-coded AskScience flair. Membership in the panel comes with access to a panelist subreddit. It is a place for panelists to interact with each other, voice concerns to the moderators, and where the moderators make announcements to the whole panel. It's a good place to network with people who share your interests! Are able to communicate your knowledge of your field at a level accessible to various audiences. AskScience AMA Series: I'm Robbert Dijkgraaf, mathematical physicist, author, and director of the Institute for Advanced Study, here to answer your questions about the math and physics of the universe and Big Bang. Ask me anything! This is Robbert Dijkgraaf, Director and Leon Levy Professor at the Institute for Advanced Study, one of the world's foremost centers for curiosity-driven basic research, located in Princeton, New Jersey. I'm a mathematical physicist specializing in string theory, and my research focuses on the interface between mathematics and particle physics, as well as the advancement of science education. Ask me anything about fundamental questions in physics like the Big Bang, black holes, or the mathematics of the universe! In light of recent news, here is an article I wrote last week about the first black hole photograph. You can also view a talk I gave at the 2017 National Math Festival on The End of Space and Time: The Mathematics of Black Holes and the Big Bang. This AMA is in partnership with the Mathematical Sciences Research Institute in Berkeley, California, as we are the co-organizers of the National Math Festival taking place on May 4th in Washington, DC. I'll start answering questions at 11:30 a.m. Eastern (15:30 UT), and end around 1:00 p.m. AMA! EDIT 1:00 p.m.: Thank you for all of your great questions! I'm sorry I couldn't get to them all, but you can find me on Twitter @RHDijkgraaf or visit the IAS website to learn more about the many ideas we discussed. Working at the IAS, I am reminded every day that we live in an incredible age for science and discovery, and we must never forget how essential basic research and original thinking are to innovation and societal progress. The Institute’s Founding Director Abraham Flexner may have said it best in a 1939 essay, “The Usefulness of Useless Knowledge”, reprinted in a book that I recently coauthored. IAS, MSRI, and MoMath welcome you to join us at the 2019 National Math Festival on Saturday, May 4, to inspire the next generation to embrace curiosity and experience the thrill of discovery. IAS is presenting two of the mathematical lectures, featuring our own Dr. Avi Wigderson on cryptography, and Dr. Marcus du Sautoy of Oxford, discussing art and algorithms. Learn more on the NMF website. CPUs have billions of transistors in them. Can a single transistor fail and kill the CPU? Or does one dead transistor not affect the CPU? CPUs ang GPUs have billions of transistors. Can a dead transistor kill the CPU? When animals leave their parents to establish their own lives, if they encounter the parents again in the wild, do they recognise each other and does this influence their behaviour? I'm thinking of, for example, eagles that have been nurtured by their parents for many months before finally leave the nest to establish their own territory. Surely a bond has been created there, that could influence future interactions between these animals? Why did they need an algorithm to take a picture of the black hole and what did the algorithm even do? What are muons, and how do they relate to time dilation? Why are lithium and beryllium relatively rare? I understand that active stars are mostly hydrogen and helium, and heavier elements are created when they get older or if they're huge and go supernova. But it's weird to me that here on Earth, we have loads of hydrogen, carbon, oxygen, nitrogen, etc. But these two light elements on the periodic chart seem relatively rare. Am I wrong about their rarity, or is there something else going on? My mother told me that there are certain zones for each kind of taste such as salty, sour, sweet etc. But I wasn't convinced and told her that that not only makes no sense because I can feel sour and salty taste all over my tongue, but it would also be impractical. I would like to know if that is the case or not.